Rooms can be combined to seat 86. Lunch: $9.49Dinner/Weekend: $10.99Must be 60 years or older. Cannot be combined with other offers. 11 AM - 4 PM$7.99Must be 60 years or older. Cannot be combined with other offers. All Day$1 OffMust show military ID. Cannot be combined with other offers. 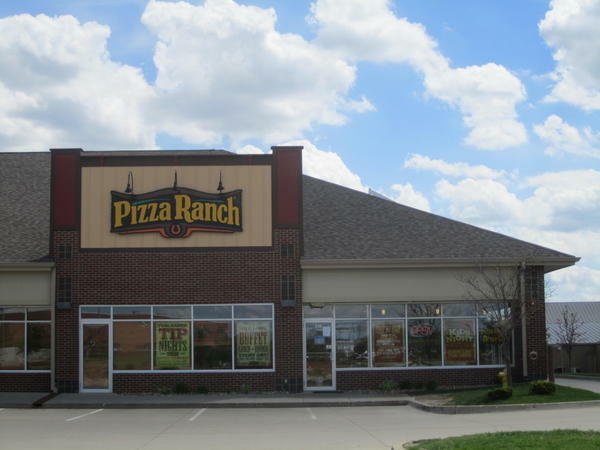 Come on down to the Ranch in Urbandale and join us for dinner! Indulge in all the savory pizza, fresh salads, potato wedges, and delectable desserts that await you on our mile-long Buffet Your Way. If we’re missing your flavor, just let us know—we’ll make any pizza you’re craving and bring you the first slice. We’re right down the street from Urbandale High School and the perfect place to refuel after theater practice or the big J-Hawks game. Bring the whole crew and help us support the community with a fundraiser or Community Impact event. We have the space and tastes to satisfy any group. The guy cleaning the tables last night was so very nice. Buffet was pretty full and rarely had to wait for food to be put out. We come for the pizza but stay for the fried chicken. Of course, the cactus bread dessert pizza cannot be skipped. Buffet was constantly out of one or more items. Told by staff that macaroni and cheese would not be out for 8-10 minute. Very disorganized and messy. Not well maintained or cleaned often. Did not appear to have anyone on staff in charge. Apparently "the inmates were in charge" so to speak.Very disappointing when compared to other locations. Ran out of pizza, there was no sauce for breadsticks, when pizzas did come out they weren't cut all the way through. Had to chop at the crust with spatula to get the pieces to separate. Chicken was good, dessert pizza was good. Looked like it was way understaffed as tables weren't cleaned promptly. A team came in just prior to our arrival otherwise probably wouldn't have had any food available. Place was dirty, crowded, and couldn't keep up. The food was good, however, there was a fund raiser with some boys from Johnston. They were younger (10-12? ), but they were annoying and loud and everywhere! They were in the way when going to the buffet, they came to table 5 times asking for money, they were loud (yelling at each other across the room) and the parents and Pizza Ranch employees just smiled the whole time. 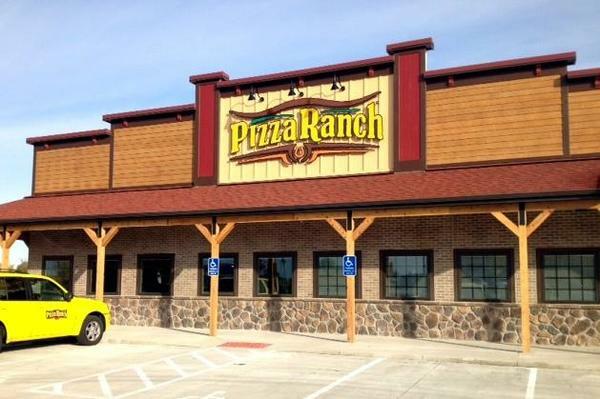 I get it, a fund raiser is a good thing, and Pizza Ranch isn't exactly "fine dining", but we wanted a relaxing dinner and it was anything but that. Always a good experience. Chicken is wonderful.The grandkids also enjoy it. Customer service is always great. But online it will say something is available, and then find out u no longer carry it. And I was told order was going to be 45-60 min delivery and it took 1 1/2 hours to get here. Just down the street. But Cindy rocks. Bucking Bronco pizza is amazing!! We arrived at about 6:30 the restaurant was super-busy. There were tables open, but none clean. (like at least 10 tables open but dirty and stacked with dishes) Bussed our own table and wiped the table off with napkins as best as we could and sat at our sticky table among many dirty tables. At about 7:30 someone came to clear all the dishes. Pizza was good and they stayed fairly up to speed with the crowd, but the dessert pizza got mobbed. Kept going back but basically from 7:00-8pm when we left, there was no more made (it seemed). Since they quit the buffet at 8:30 I assume they weren't planning on making more. Food wasn't bad but sitting amongst dirty dishes and a dirty table, my husband said well that takes care of me wanting to come here again for a very very long time. I have to agree. We'll keep an eye out and see what folks say to decide if we ever come in again. Always a great place to enjoy a meal! There is never enough help on the floor. Every table had plates stacked up, people sat down at dirty tables. Food was not stocked up very well either, cold pizza for the whole hour. The people at the front should be doing laps grabbing plates when mo one is in line. Don’t worry the chicken keeps me coming back. Everything was great in spite of it being so busy when we were there. I always appreciate your Christian music and attitudes!